***** I believe the first impression of a business says it all. We feel we have finally found the best all-around practice. 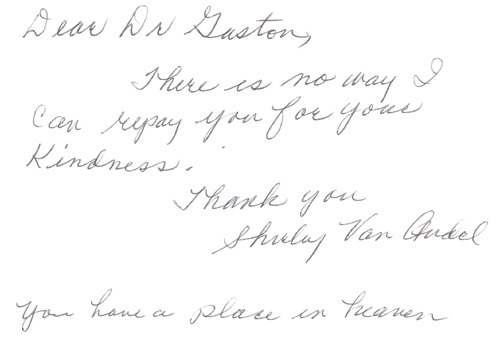 The staff and Dr. Gaston show such compassion and interest in doing everything they can to make you feel your best. They always explain your options, but do not pressure you to do something you don't want or can't afford. If you want to feel cared about and treated with respect and honestly you need to see Dr. Gaston and staff at either of their offices. 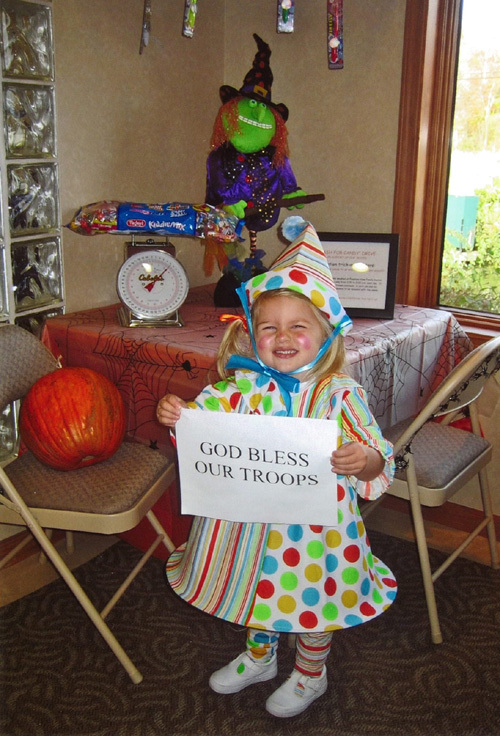 You will be glad you did, we are! "Happy Smiles!" ***** I just had my first visit and was impressed with personnel, building and location. I met a lot of the staff and Melissa worked with me. All were friendly and professional. Thank you Dr. Gaston and staff. ***** Melissa suggested I try a waterpix to reduce tartar build up and after 6 months what a difference. I also broke a tooth and Dr. Gaston and his staff got me in that afternoon to relieve me of my pain. *****The staff is very friendly and Dr. Gaston goes out of his way to help you understand what is going on in with your teeth. The office is state of the art, and has a great view! *****Beautiful office location and setting with wonderful staff. *****Fantastic experience and very well managed office. The staff is all very sweet and the Dr. is extremely smart and very careful and precise. Thank you Fountain View! *****I had a dental emergency at 11:00 at nite and my former dentist would not return my call. I called Dr. Gaston , he open his office and fixed my problem at 1:00 in the morning. 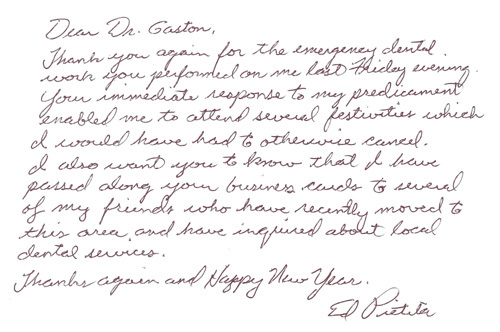 Of course now I'm a regular customer of Dr. Gaston and impressed with the quality of his work. 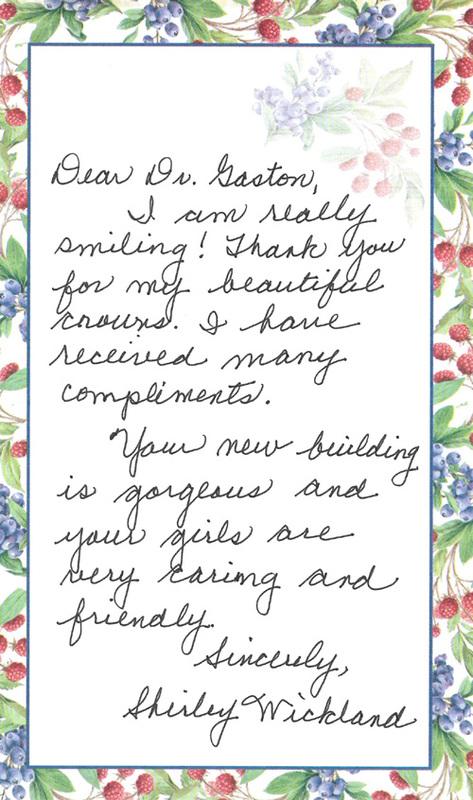 *****We have not only been very impressed w / Dr Gaston, his staff is wonderful! They all make you feel comfortable and understand what's happening. They all treat you as if they've known you forever & are understanding when you have concerns. 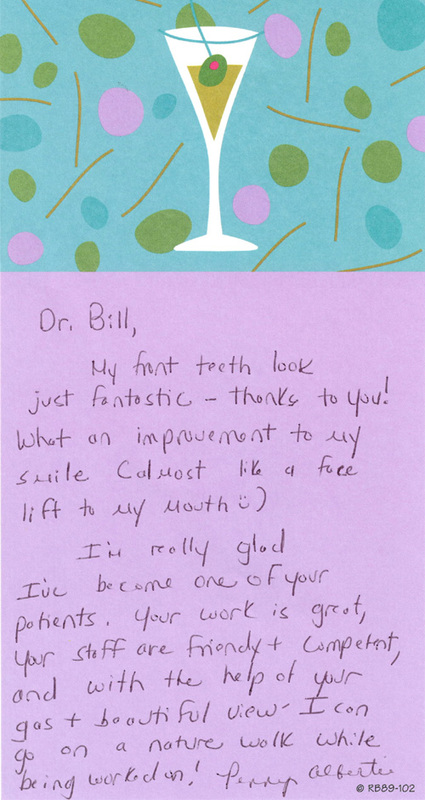 Dr Gaston helped me have the smile I have always wanted and it really helped my self confidence. He does a great job w/ my teenagers, talks hunting w/ my husband and is very patient w/ my 8yr old (who is a stunt man in training). The landscaping at the office is beautiful and very animal friendly (My son loves the turtles! ), the massage chairs and tv's are a nice perk too :) Thanks for taking such great care of our family! If anyone is nervous or afraid of going to the dentist, Fountain View is the place to go! They will take awesome care of you!